Normal shipping hours for plywood orders are 7:00 AM – 11:00 PM Monday – Friday. Please be here in time to get your bill of lading before the 11:00 PM closing. Please note these hours are subject to change without prior notice. Normal shipping hours for landscape timber (peeler core) orders are 7:00 AM – 5:00 PM Monday – Friday. Please be here in time to get your bill of lading before the 5:00 PM closing. Please note these hours are subject to change. Normal shipping hours for all treating plant orders are 7:00 AM – 3:00 PM Monday – Friday. Please note these hours are subject to change without prior notice. Normal shipping hours for lumber and timber orders are 7:00 AM – 3:30 PM Monday – Friday. Please be here in time to get your bill of lading before the 3:30 PM closing. Please note these hours are subject to change without prior notice. 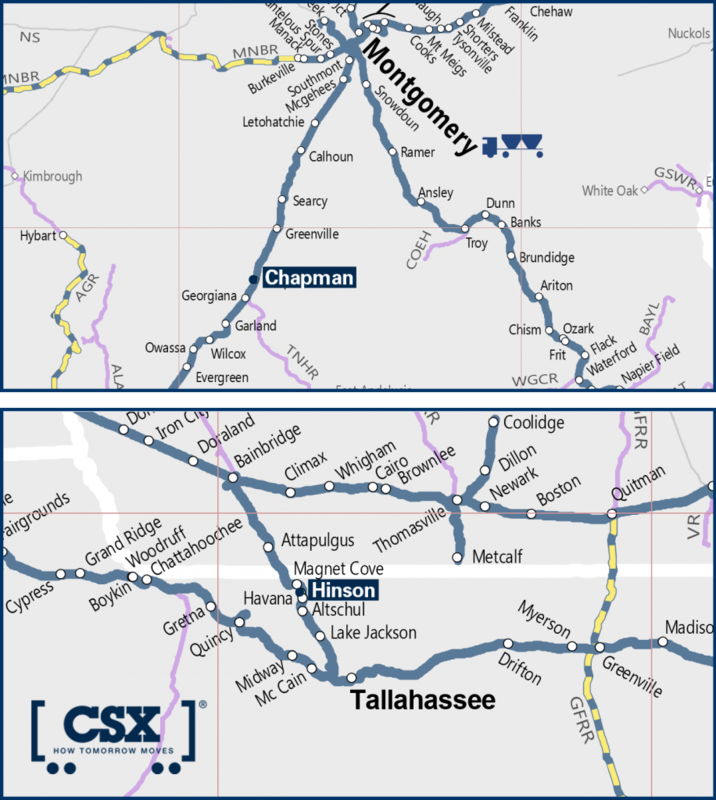 CSX Rail Shipments are available from both Havana (CSX Hinson, FL siding) and Chapman (CSX Chapman, AL siding) Plywood Mills and from the Chapman Sawmill. Boxcars for plywood and Centerbeam Cars for lumber, Car wrap is available.